Super Junior Returns to Singapore Win Tickets from F&N Sparkling Drinks! 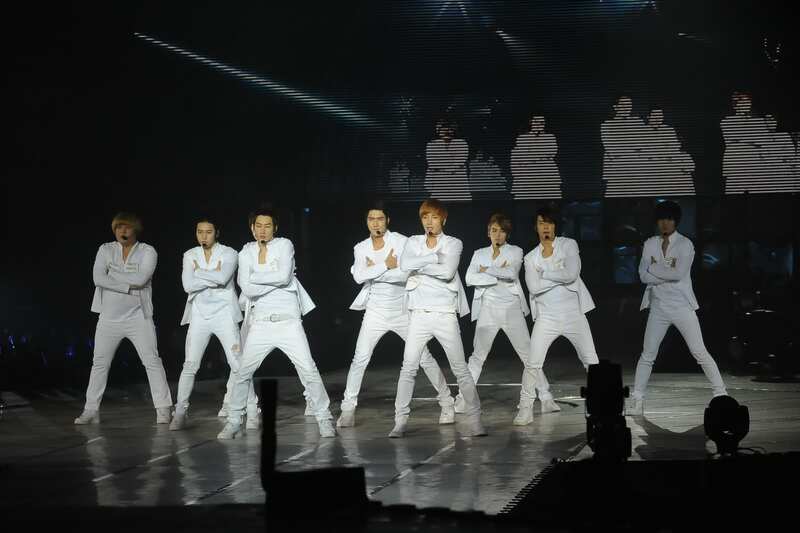 When Super Junior came to Singapore for their first solo concert in 2011, F&N Sparkling Drinks rallied fans to show them how much Singapore loved them by giving the band the best dance tribute videos collected via a contest planned specially for the fans. 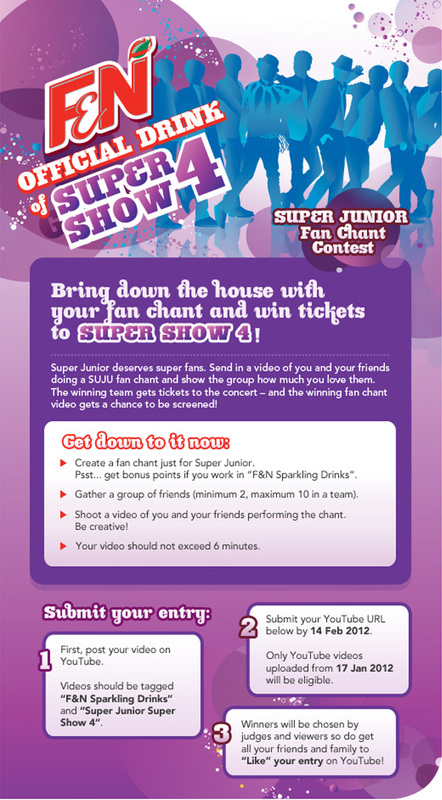 This year, F&N Sparkling Drinks is calling fans to bring the house down with the best and most number of Super Junior Fan Chants! What’s more, a total of more than $23,760 worth of prizes, including the highly coveted concert tickets, will be given away across three island-wide with-purchase promotions! To welcome Super Junior back to Singapore, F&N Sparkling Drinks is calling all Ever Lasting Fans (E.L.Fs are what Super Junior fans call themselves) to show their support for the band by creating videos of SUJU Fan Chants! Simply form a team of 2 to 10 and create a video of the fan chant being performed. The winner will be chosen by 30% popular vote, and 70% judges’ choice. Judges will be looking for creativity, fun, and presentation. The number of people on the team will also be taken into account the number of people. 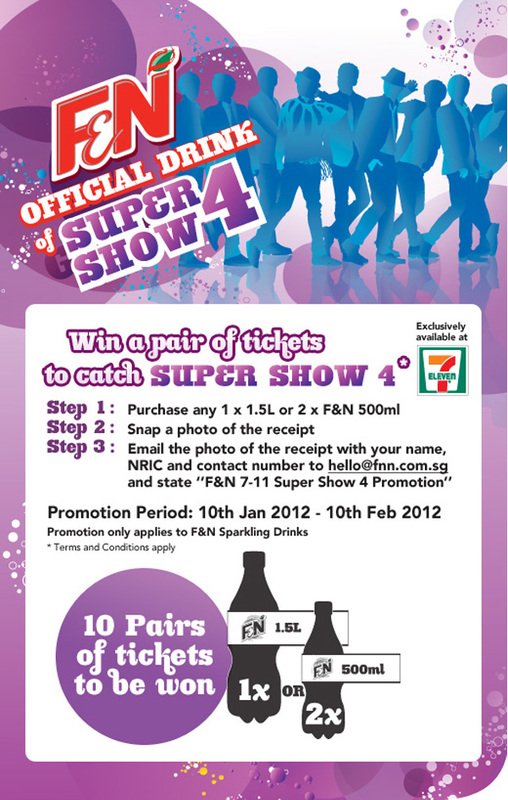 Original fan chants and fan chants that incorporate F&N Sparkling Drinks will also get extra notice from the judges. 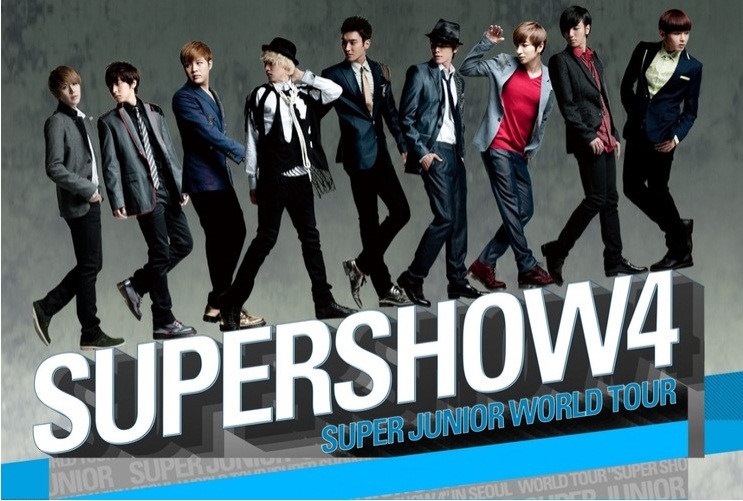 &The winning team will walk away with tickets to Super Show 4 in Singapore, and the winning fan chant video will also be screened at the concert! Details and the contest entry form can be found at www.facebook.com/FnNFuN. 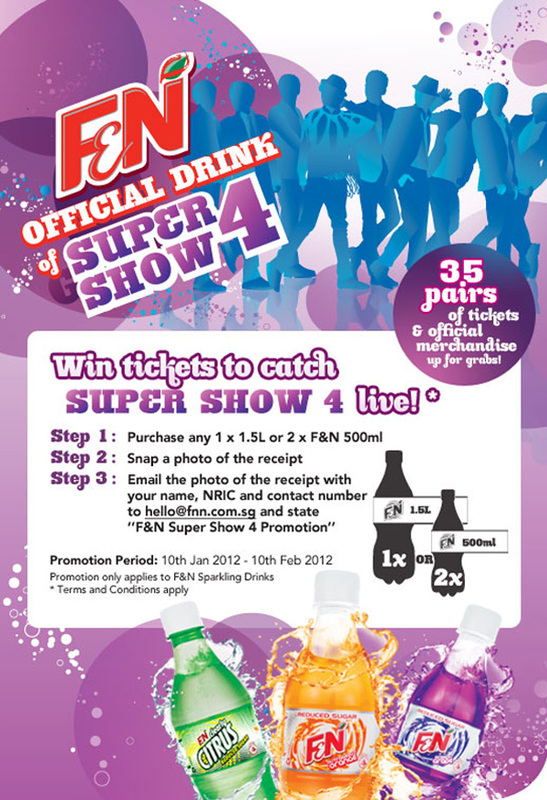 With purchase of participating F&N Sparkling Drinks products, fans can win one of 35 pairs of tickets and Super Show 4 Official merchandise. In two exclusive partnerships with 7-Eleven and Cheers, F&N Sparkling Drinks will also be giving away 10 pairs of tickets to 7-Eleven patrons and another 10 pairs to Cheers customers through lucky draw. To take part in the giveaways, purchase either a 1.5L bottle of any participating F&N Sparkling Drinks products: Outrageous Orange, Cheeky Cherryade, Groovy Grape, Cool Ice Cream Soda, Zesty Zappel, Clearly Citrus or Sarsi. Contestants may also purchase 2 x 500ml bottles of Outrageous Orange Reduced Sugar, Groovy Grape Reduced Sugar, or Clearly Citrus Reduced Sugar. 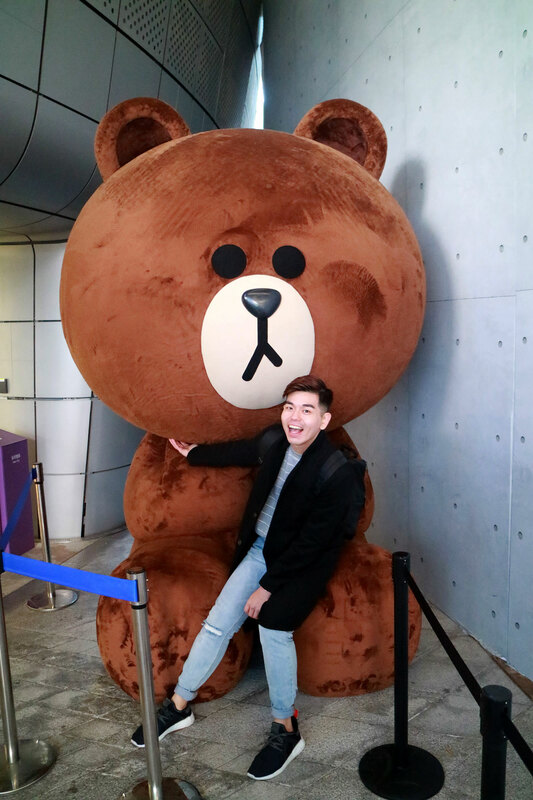 Send a picture of the receipt as proof of purchase to hello@fnn.com.sg with the following personal details: Name (as in NRIC/Passport), NRIC/Passport Number), Email Address and Contact Number. Do so by February 10, 2012, 5pm. All prizes will be given away through lucky draws. Full details can be found at www.facebook.com/fnnfun Terms and conditions apply. For more information and details, visit www.facebook.com/FnNFun and www.fnn.com.sg. It's Time To SMELL GOOD with Calvin Klein Free Edt For Men!